It sounds like a lost episode of Seinfeld as we watch the main ensemble try to seduce a relative and hack into a computer while crashing a wake in pursuit of the world's most delicious pie recipe that has perished along with a deceased chef. And in another offering, we're presented with a cross between The Big Bang Theory and Seth Gordon's 2007 documentary The King of Kong which centered on obsessively competitive championship video gamers. To this end, one of the show's protagonists becomes so addicted to a look-alike version of Pac-Man that he changes from an oddball artist to uptight arcade fiend, until he can have a showdown with the record-holder who'd scored and sailed away as a J.D. Salinger meets Bobby Fischer arcade game recluse. Yet, this primetime cable network show isn't one that targets the coveted 18-45 year old demographic who worshipped "yadda yadda yadda" and Sheldon and Leonard's inability to conform in CBS' physicist-centric comedy but instead one that aims straight for sharp-witted, under-served tweens and teens. 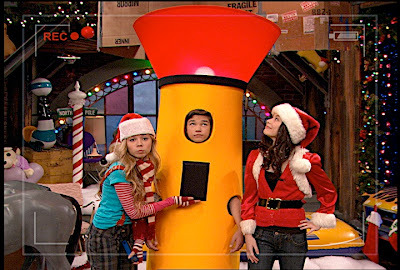 Despite the fact that I may be at least fifteen years too old to enjoy iCarly's frantic, ADD stream-of-consciousness style and gross-out gags that comprises the eponymous web show segments that's engineered by Carly (Miranda Cosgrove), Sam (Jeannette McCurdy) and Freddie (Nathan Kress), overall I'm extremely impressed by the inventiveness of the writing team for the series itself. The importance of offering young viewers a positive female character as Nickelodeon does via iCarly, True Jackson, VP, and even with their animated series Dora the Explorer cannot be diminished. 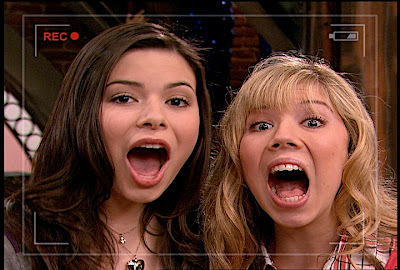 In fact, while perhaps unlike her fashionista counterpart True Jackson, VP, iCarly definitely has appeal to both genders since it deals with current technology and trends each and every week. Of course, it's great for contemporary kids who-- on a less global web show scale-- essentially live the lifestyle they portray in the series by browsing for funny videos, blogging, worrying about curses in e-mail chain letters, and texting nonstop. And while admittedly the very emphasis on technology will no doubt hinder the show ten years down the line when the cutting edge web shows, texting, etc. 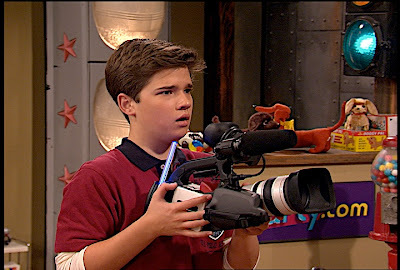 will be obsolete for some new system, overall iCarly aces its target demographic. It does so by letting young women know that they don't have to be the quintessential "girls as drama queen or princess" characters that fill a typical evening broadcast on Nickelodeon's main rival, The Disney Channel. Just right for those who have begun to outgrow animation, Nickelodeon's latest installment of the series-- Season 2, Volume 1-- opens up with a classic hormonal struggle as the series' two best friends including the show's young Julia or Emma Roberts in training Carly (Miranda Cosgrove) and her incredibly loyal yet aggressive tomboy best friend Sam (Jeannette McCurdy) both develop a crush on the exact same boy. Determined not to become jealous or resort to petty fighting by agreeing that both could be allowed to date him, that promise and one limb gets broken just as quickly in a cliched plot that acknowledges the girls are growing older yet thankfully it doesn't mark a new boy-crazy trend for the series. 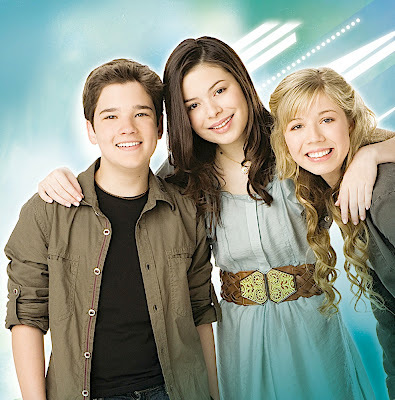 In fact, while hormones are definitely prevalent as we learn some surprising facts when Sam bullies Freddie (Nathan Kress) in a relatable episode that will bring one right back to their own awkward tween years revolving around first kisses, basically the writers avoid stereotype whenever possible by ensuring that the always dubious but still entertaining adventures are unexpected, strange, and increasingly complicated. While the aforementioned "iPie," "iStage an Intervention," and "iKiss," are particular standouts, another one that again showcased the range of McCurdy as her character Sam begins to feel torn between real emotions and her "act" was in the superior "iOwe You." 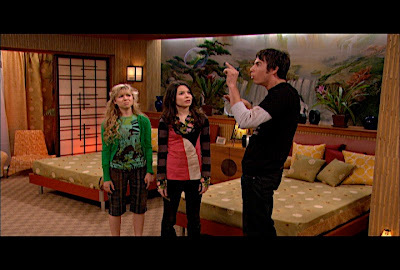 In addition to Sam's plight, it utilizes a subplot involving Carly's older brother and free-spirited guardian Spencer, iCarly scene-stealer Jerry Trainor tries to score points with a hot mom by taking on mean girls in selling the most Fudge Balls to win a shy girl a bike. Thematically similar, "iOwe You" overlaps it with the show's main dilemma as Sam realizes she must get an after school job to pay back her two friends who finally put their foot down about mooching more than five hundred dollars from them over a few years. Just like "iStage" and "iPie," "iOwe You," succeeds in balancing the right two plots together for wittiest impact and although I'm sure kids really enjoyed iCarly's first TV movie, "iGo to Japan" (despite the fact that the gang only went as far as outside a little more than staying on the Paramount lot), there's way too much padding in what could've been just a simple 2-part episode. While obviously a kickin' Kung Fu fight is a lot of fun to watch, the entire third act of the TV film unfortunately spends a little too much time on Asian stereotyping that results in an obvious yet completely illogical climax which only benefits by some really cool "movie magic" extra featurettes that are sure to appeal to kids wondering just how they faked jumping out of a plane etc. 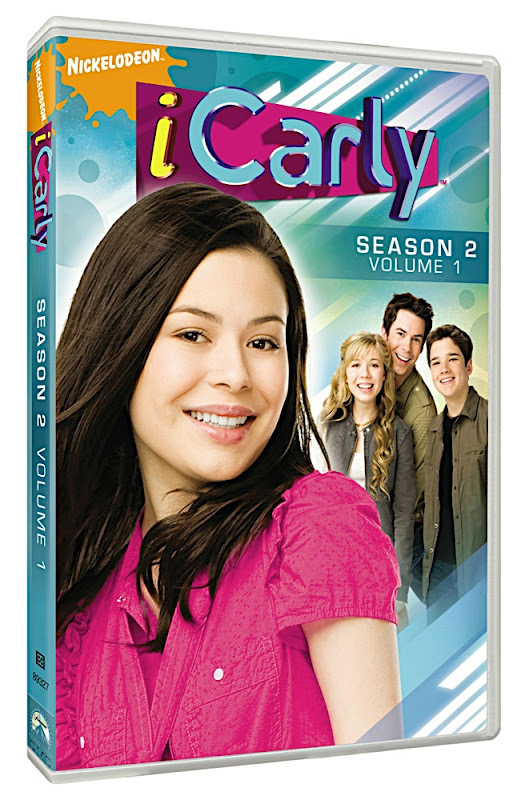 Bringing back Carly's old nemeses like Nevel and Lewbert, this 316 minute 2-disc slim-package disc also boasts guest stars like David Archuleta (who doesn't sing) and the popular internet video sensation Fred (Lucas Cruikshank) who also makes an appearance. The first volume of the second season also offers some fun behind-the-scenes bonuses that make you realize what an untapped comedic talent they have in Mary Scheer's Mrs. Benson. And due to the amount of hyper shouting that rivals It's Always Sunny in Philadelphia, admittedly adults clearly aren't their target demographic since Nickelodeon has always thrived on entertaining children, tweens, and early teens. Yet, due to the show's nice, wholesome charm in focusing on extroverted girls who like laughter and technology instead of princesses-- which is enough for this reviewer to recommend it without hesitation-- the writers and likable cast ensure that there's much more to the show than one might expect in traditional tween fare.